KANG Dongsoo 19 year-old defender from South Korea joined the Netherlands team Enjoy & Deploy Taverzo from Zoetermeer. South Korea has a long tradition with defenders and has one of the best defenders on the field – JOO Seehyuk. The South Korean gave chances to the younger generation during the World Tour in Kuwait and KANG Dongsoo seized this opportunity and showed his potential to become the successor of his compatriot. During the main tournament he successively defeated the world class players ZHAN Jian from Singapore and Chinese FANG Bo. Finally he lost in very close match against CHUANG Chih-Yuan. The team from Zoetermeer is very pleased that KANG Dongsoo chose Enjoy & Deploy Taverzo. 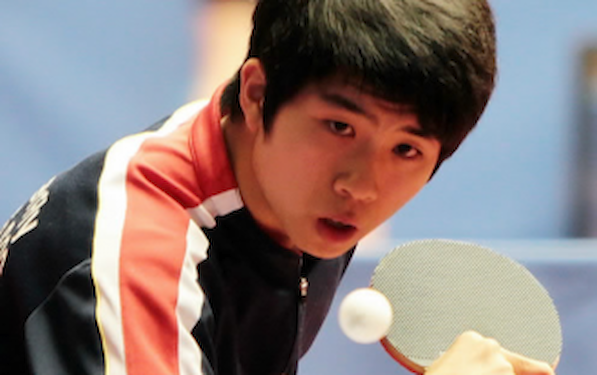 The player is now at position 15 of the World rankings under 21. In the men’s ranking he improved in March 2013 with a step from position 324 to 121. Playing in the ETTU Cup is for KANG Dongsoo an important step in his development. His Korean coach already announced the ETTU Cup is very important for the young player.